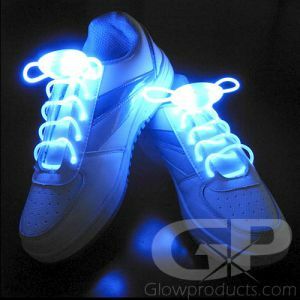 - Glow in the Dark Gloves! Glow Bright Green! - Just Charge under a bright Light Source! - No Batteries! - Easy to Use and Reusable! 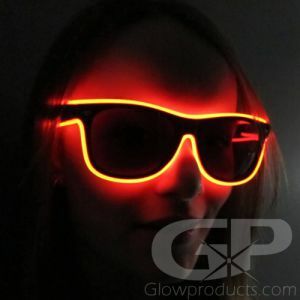 - Great for Glow Parties! Costumes! Stage Shows! Let's raise the roof (and pull off some other dance moves too) with our glow hands! 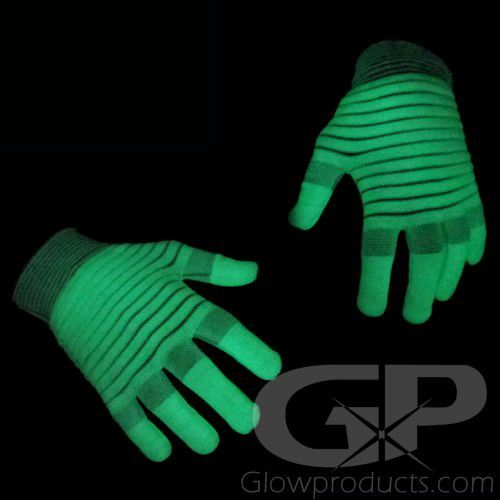 Glow in the Dark Gloves are exciting and fun glowing gloves that recharge under light and work as black light reactive gloves as well! Glow in the Dark Gloves glow green when fully charged under a normal light source. But check this out - Glowing Gloves will glow blue when placed under a UV Black Light (no need to charge them, they will instantly react to the black light). 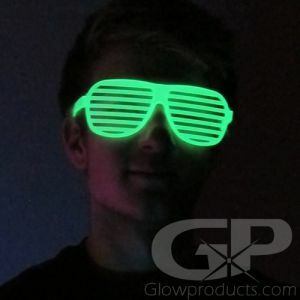 Excellent for night time entertainers, jugglers, stage shows and performances, glow gloves also make for great costume and Halloween accessories and are lots of fun at glow in the dark parties and black light parties! 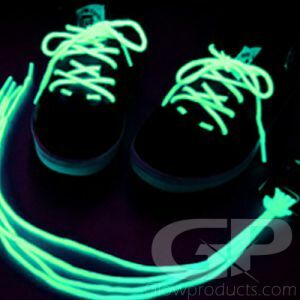 To charge your glowing photoluminescent gloves, leave them under a constant light source for up to ten minutes for a full charge. Instructions: Charge the Glowing Rave Gloves under a bright light source for several minutes. After charged, the glow effect will last for about 10 minutes and then dim out. Re-charge again under a light source, black light (ultra violet light) or direct sunlight. 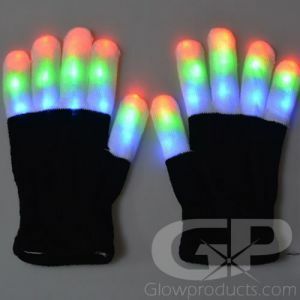 For brighter glowing gloves, be sure to check out the Battery Powered LED Light Up Gloves!